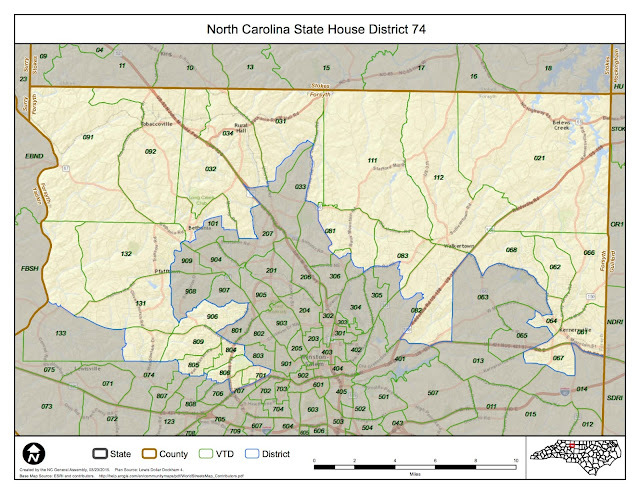 NC House District 74 is a wrap-around. It packs itself into the northern nooks of Forsyth County and forms a vise around the urban core of Winston-Salem. It's reportedly 82.34% white. It nevertheless contains plenty of what gets defined as suburbia. 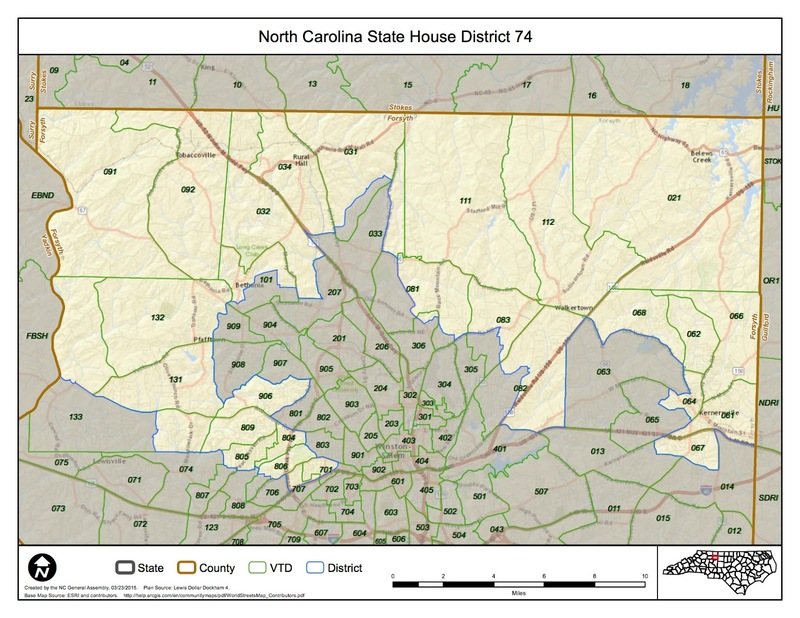 It has a three-term Republican rep in the NC House, Debra Conrad, who is the kind of well groomed, country club Republican that Forsyth tends to elect and reelect over and over. 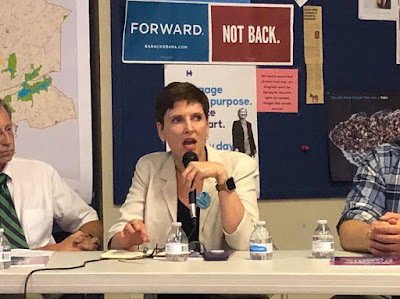 Then comes Democrat Terri LeGrand in 2018, just one of the large group of energized Democratic insurgents storming the Bastille of the Raleigh General Assembly. I wrote about LeGrand's prospects way back in March. How's she doing? You might say ... just fine! She's outraising Debra Conrad by a country mile. According to a press release from the LeGrand campaign, she raised $86,497 in the second quarter compared to $23,015 raised by Conrad. And she's gots boots on the ground, demonstrating once again that in 2018, newly minted Democratic candidates are out-raising, out-hustling, and out-door-knocking the matrix. When I wrote about this race back in March, my impression of District 74 made it one of the hardest nuts to crack in this year's insurgency. Actual statistics soften that view (ht, KR): 18,616 Dem, 23,949 Reps, and 17,505 Unaffiliateds. In other words, and quite obviously, the winning margin for LeGrand in District 74 = the independents. Not to mention that when the Dems get energized, that 5 thousand voter-registration advantage of the Rs can deplenish itself quickly. One cautionary note on LeGrand's fundraising superiority: We know from the Jonathan Jordan example in District 93 that outside groups -- third parties and super pacs -- always step in for their favored Republican incumbents. Jonathan Jordan is a lazy fundraiser, but his Dem opponent always seems to get plenty of nasty negative abuse. That'll likely be the same for LeGrand. Bottomline this year: money is no advantage over enthusiasm anyway, and boots on the ground. Money's essential, but it's the army of volunteers who'll always take down the castle.